Book Review: Is There a God? by Richard Swinburne | J.W. Wartick -"Always Have a Reason"
The purpose of Is There a God? (hereafter ITG) is to summarize and outline a large portion of Richard Swinburne’s corpus of work in a condensed form. Does it work? Fabulously. Swinburne, in the space of 125 pages, manages to sum up many of his books in easy to comprehend, interesting, and thoughtful bits of knowledge. ITG starts off with a chapter aptly titled “God.” In this chapter (modeled after his longer work, The Coherence of Theism), Swinburne outlines the properties and concept of God. It should be noted that Swinburne’s view of God differs from classical theism in two major ways. First, Swinburne’s conception of God does not involve knowledge of the future. His reasoning is that it is logically impossible to know that which does not yet exist (the future), so God is omniscient, but does not know the future. Going into great detail for an argument against that notion would take me too far away from this review, but suffice to say that I find the argument wrong for at least two reasons: 1) There are many coherent ways to envision the future as possible knowledge; 2) A timeless view of God would definitely entail foreknowledge, because all time would be equally present to such a deity. 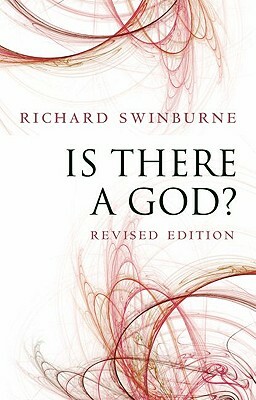 Second, Swinburne’s view of God differs in that he believes God’s existence is contingent, not necessary (he does believe that God is necessary in the sense that his existence does not cease–the necessity/contingence is the difference between modern and Aristotelian contingency–thanks to Tim McGrew and Chris Reese for pointing this out). Again, I disagree, but I find Swinburne’s view coherent. Swinburne then turns in chapter two to the nature of explanation and argues that we often take personal explanations as valid even within scientific inquiry. Further, he puts much weight upon the simplicity of a theory, which leads into his third chapter, which argues for the simplicity of theism as an explanation for much of our known data. These chapters sum up his work in The Existence of God. I find two downsides to ITG. First, the concise nature of the work means that those interested in his arguments will need to go beyond the book to fully explore the issues. However, this is barely a downside because that is exactly what the book is meant to be: an introduction. Richard Swinburne’s Is There a God? is a fantastic introduction to his huge body of work. His tone is constantly amiable. Reading the work, one may feel as though they are in a conversation with Swinburne himself, which means it feels like one is in the presence of one of the most important Christian theologian/philosophers of our era. I cannot recommend it highly enough either for an introduction or a review of Swinburne’s corpus.